Fix Jeeps Mods Review - Tool and product reviews for the Jeeping community. Fix Jeeps Review - First I wanna start out with this. I realize reviews are based on opinions. Just because John Doe thinks the new latest greatest "doomahinkie" is the best invention since sliced bread does not mean everyone will. Hence the reason I thought adding a "review section" to the site would be a great idea. I will be reviewing about anything that I feel the information will be beneficial to you. Items such as LED off road lighting and whatever else inspires me. As I create each review, if available, I will add a link to a source that you can aquire the item being reviewed. Soo .. be sure to keep checking back. Thanks y'all! 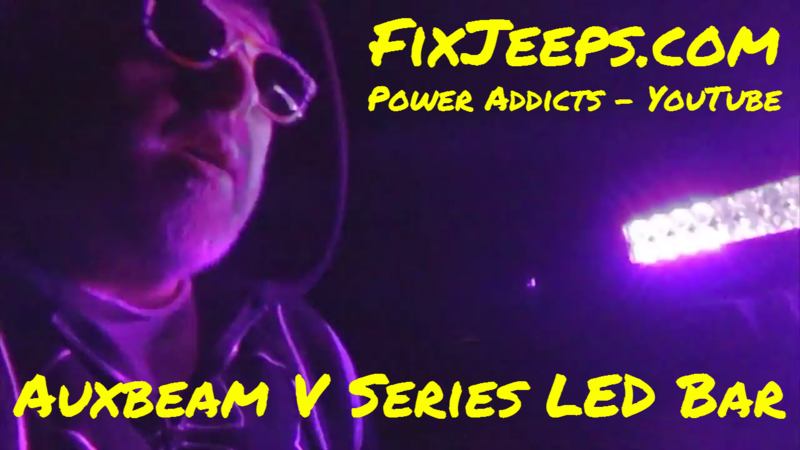 Fix Jeeps Mods Review - Lets check out the goods! Nice LED bar with Daytime Running light from Auxbeam. 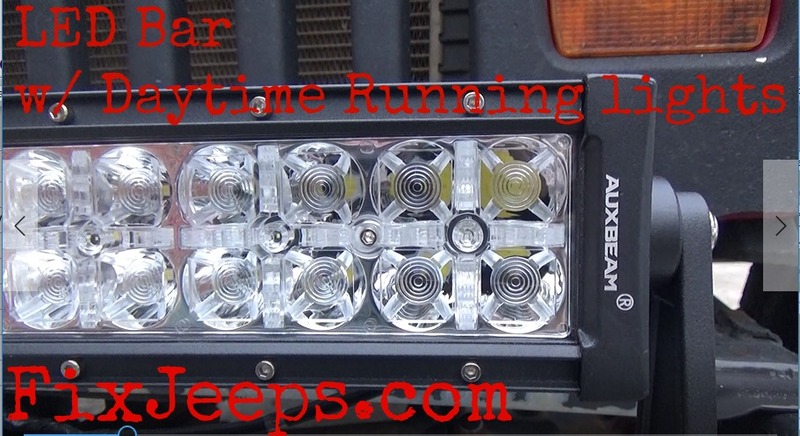 Click here to learn more ..
Fun but functional LED light bar from Auxbeam! Check out the 22" V Series that has business and party all in one light bar!